「Technical Support & Guarantee」 Radioddity provides 1 year and 6 months warranty and 60 Days no reason return; You can always contact our customer support for help. We also provide an in-depth user manual and programming tips which can be download by CLICK HERE. 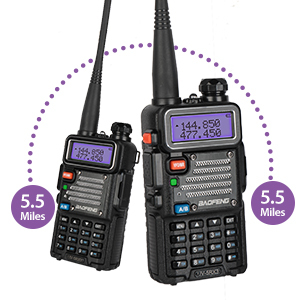 UV-5RX3 is a compact, ergonomically-designed multi-band HT which balances cost, functionality and reliability. 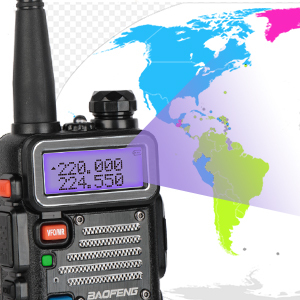 It provides a real 5 watts in the frequency range of VHF, UHF, as well as an extra band 1.25M. No other HT can compete with this tri-band wonder! It provides un-matched performance, value and reliability. 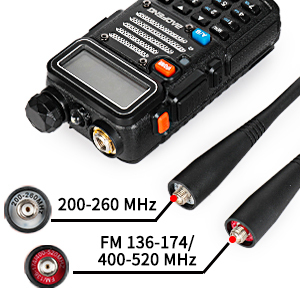 Isn't it time to experiment with the 220mhz band? way to gain "220" capabilities. 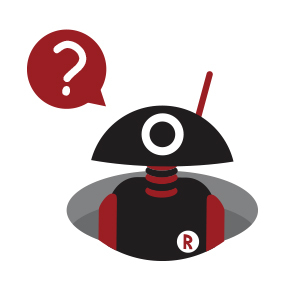 UUV-5RX3 comes with two antennas that can be switched around depending on the band you wish to use. A 220MHz Band antenna is provided as well as one for 2 meters and 450mhz.. You can also have us include a Radioddity RD-301 Tri-band antenna (not included in package) for a one antenna solution. 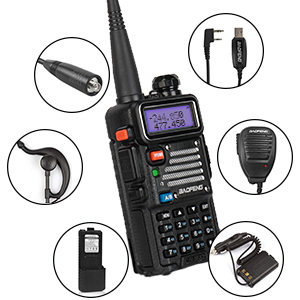 UV-5RX3 has the traditional 5R-Plus case design, which means that it works with all the 5R accessories including tri-band female antenna, programming cable, car charger, speaker, earpiece, 3800mAh battery, etc. 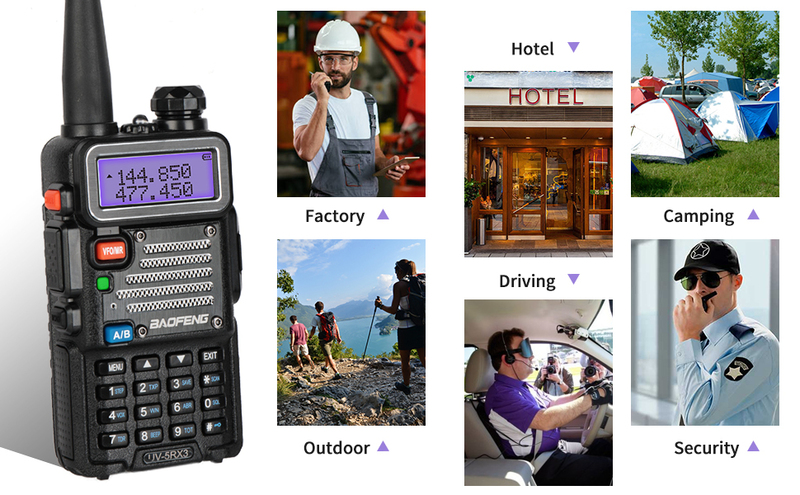 The talking range of UV-5RX3 is up to 5.5 miles if using high power output in open area. Please note that different environments might lead to different talking distance of the walkie talkie. 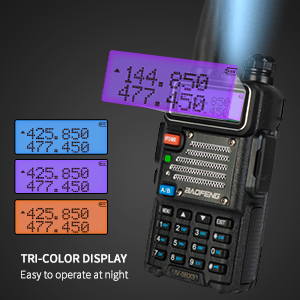 A large, easy to read screen with three selectable colors, the bright backlit and LED flashlight, allow to use the radio in dark.